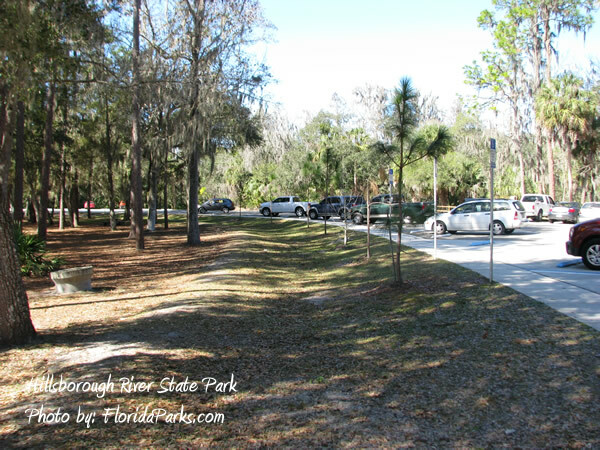 Hillsborough River State Park was developed by the Civilian Conservation Corps (CCC) in 1936 and opened to the public in 1938. This 3,383-acre park offers camping, picnicking, canoe rentals and seasonal swimming in an ADA accessible man-made swimming pool. 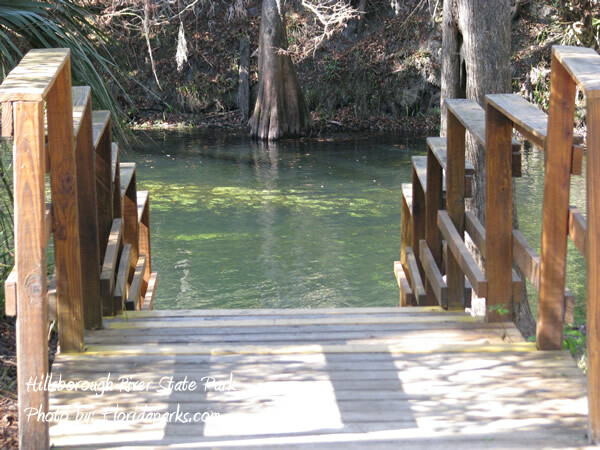 Nature trails allow visitors to wander through hammocks of live oaks, sabal palms and hickories which border the scenic Hillsborough River. The trails are wide, however, caution should be taken when walking the trails due to the erosion and exposed roots which make the surface rough. Bicyclists are invited to ride on the 1.6 mile Wetlands Restoration Nature Trail as well as the 2.2 mile Park Loop and through the campgrounds. All visitors are encouraged to wear helmets for their safety and by law all children under 16 are required to wear helmets when riding bicycles on the road. Canoeing is a popular activity in the park. Visitors may bring their own canoe or rent one at the park. 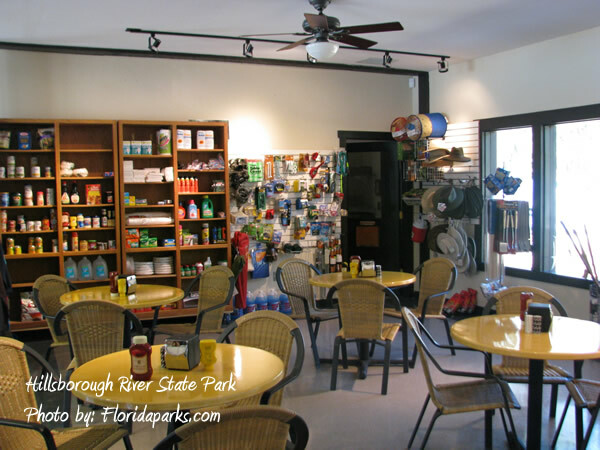 Florida Sports Paddling Club a local paddling club, enjoys the park’s river access and makes regular use of it, contact them for more information about club activities at Hillsborough River State Park. Canoes are available for rent at the park operated concession which also provides food, beverages, picnic supplies and souvenirs. 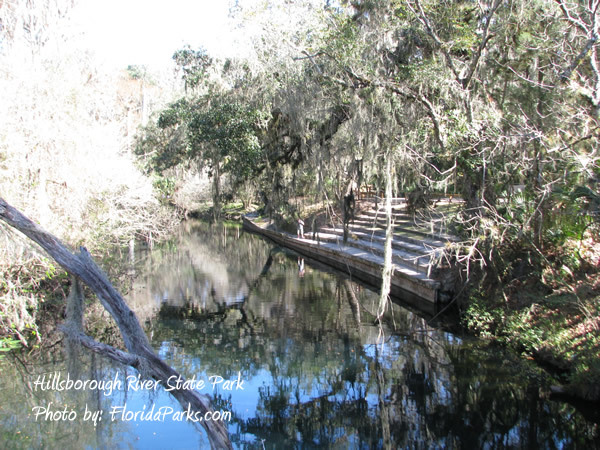 Park visitors can fish in the Hillsborough River for bass, bream and catfish. A Florida freshwater fishing license is required for all anglers. 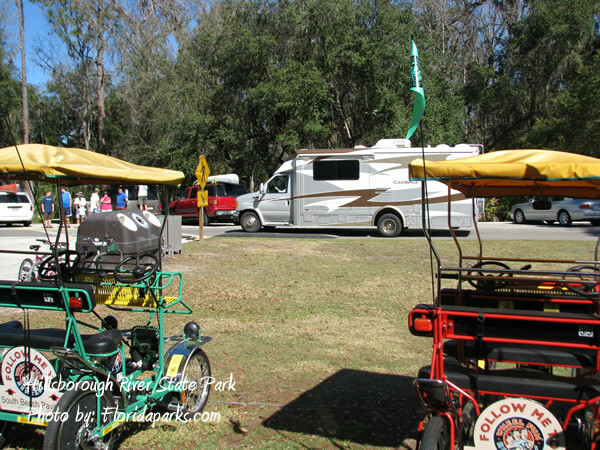 RV and Tent camping is available with electric on most of the campsites in our 108 site campground. 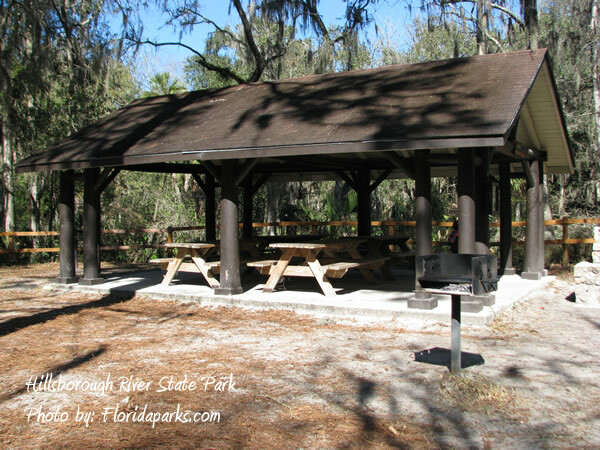 Each site is equipped with water, a fire ring and picnic table. The Campground offers a dump station for your convenience since sewer hookups are not available on each campsite at this time. Pets are allowed with restrictions. 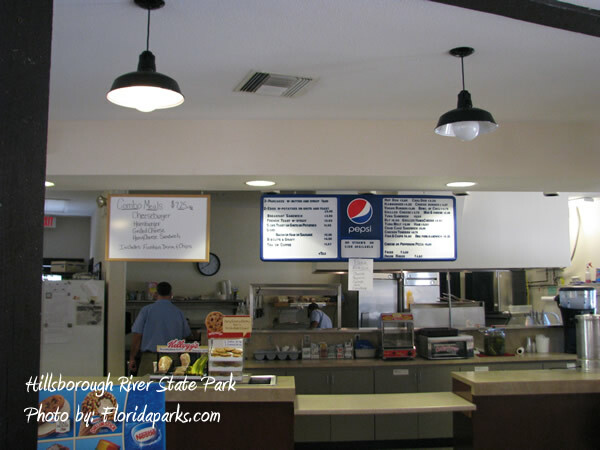 Shopping is available at the park’s Outpost concession with basic food items and merchandise. Exhibits are located throughout the park. Swimming is available in ½ acre man-made swimming area. The park offers many planned activities year-round. Fort Foster is the only standing replica of a Second Seminole War Fort in the United States. Guided Tours of Fort Foster are offered; weather permitting, every weekend, Saturdays at 2 pm and Sundays at 11 am. The fees are $2.00 per person 13 years and older and $1.00 for children ages 6 to 12, children 5 years and younger are free. Meet at the Interpretive Center for the tour. If you have any questions please call the Ranger Station for more information. Built by the Civilian Conservation Corps in the 1930s and the former contact station the Interpretive Center has exhibits and artifacts describing the Seminole Indian Wars. The Interpretive Center is open everyday from 8am to 5pm for visitors to browse through. Visitors have 4 trails to choose from and 7. 3 total miles to hike. Biking is available on the Wetlands Restoration Trail exclusively. A trail map is available at the Ranger’s Station. Visitors can picnic under one of the pavilions built by the CCC in the 1930s or at one of the other open picnic benches available throughout the park. Six pavilions are available to rent for $30 or $60 plus electricity fee where available. 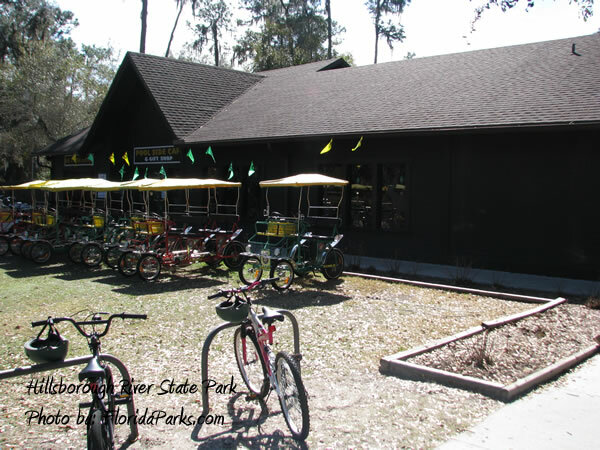 Call the Ranger’s Station for more information and availability at 813-987-6771. A fact sheet is provided for your information. 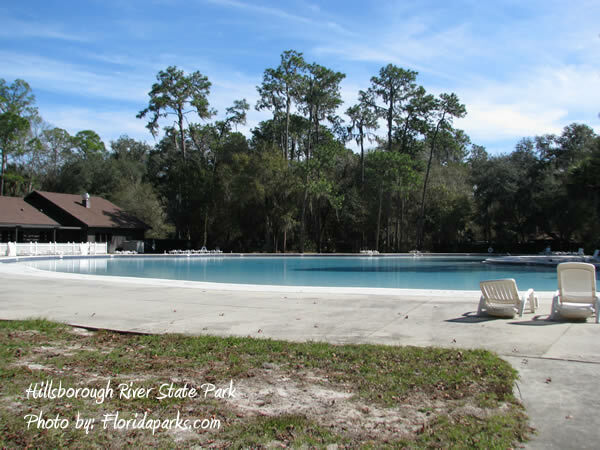 The park offers seasonal swimming in an ADA accessible man-made swimming pool. Pool fees are $2.00 per day per person for peoples ages 6 and up, children 5 years and younger are free, fees are paid at pool entrance. See Ranger Station for seasonal availability dates. A variety of habitats in Hillsborough River State Park including pine flatwoods, floodplain swamp, hardwood hammock, cypress swamp, and grass pond allow for diverse plant and animal communities to be observed by our visitors. Weather on a trail or picnicking by the man-made swimming hole, bring your binoculars to get a good look at the wildlife. 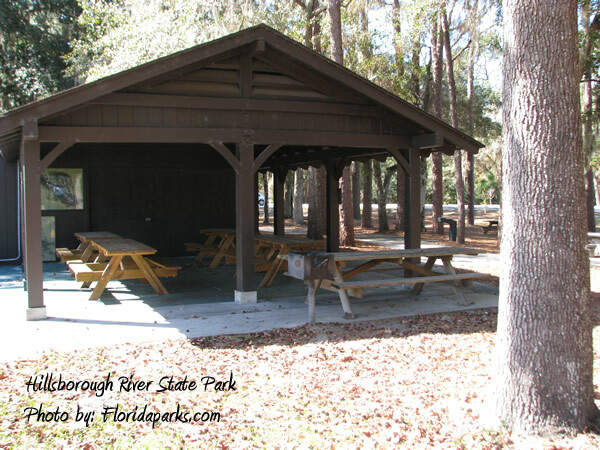 Additional information about identified animals seen in Hillsborough River State Park can be found in the Ranger Station. The youth camping area can handle groups up to 60 people at one time and costs $4.00 per person.